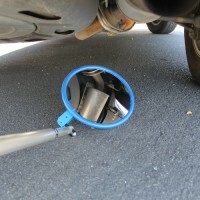 The 9" Vehicle Inspection Mirror with Short Handle features a lightweight and easy to use aluminum t.. The 9" Vehicle Inspection Mirror with Long Handle features a lightweight and easy to use aluminum te.. The 18" Vehicle Lookunder Mirror with Long Handle features a lightweight and easy to use aluminum te.. 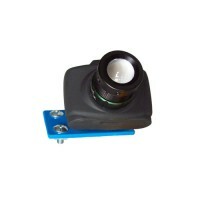 The optional Inspection Light is bolted directly to the base of the mirror and is fully adjustable. ..